Biblical Way of the Cross: Station 7 : Reform worship. 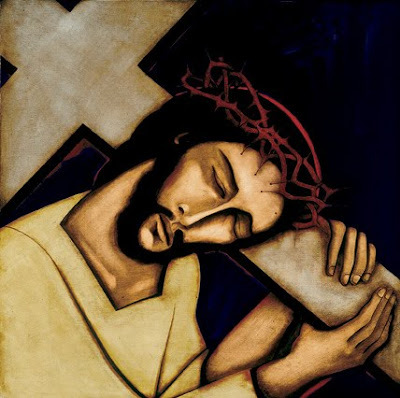 Jesus, like Isaac carrying the wood to the mountain, you set out with the wood of the cross. But unlike him you will not ask your Father where the lamb is, because you know you are the lamb of the sacrifice. You now begin your journey with the cross. O Jesus, you carry a cross, which is given unjustly. You willingly bear the burden of our sinfulness and accept the cross of our guilt. There is no greater love than this, to lay down one's life for one's friends. We love you, Jesus; help us to show this love in our lives.